In a unique and unpredictable election year, the University of Notre Dame will examine the presidential campaign through the lens of debates past and present in its 2016 Notre Dame Forum. Titled “Debating Our Future,” this year’s ND Forum will reflect on the upcoming election in the context of the presidential and vice presidential debates, including discussion of the place of debate in the democratic process as well as an analysis of past debates from the perspective of those involved in moderating and planning them. Campus debate watches and other events related to the election will be held in the weeks leading up to the election. The first Forum event, to be held at 7 p.m. Sept. 14 (Wednesday) in the Leighton Concert Hall of the DeBartolo Performing Arts Center, will feature a conversation among past debate moderators Jim Lehrer and Bob Schieffer, as well as Dorothy Ridings, former president of the League of Women Voters and, like Lehrer, a member of the Commission on Presidential Debates. Notre Dame’s president, Rev. John I. Jenkins, C.S.C., also a member of the Commission on Presidential Debates, will serve as convener. Father Jenkins was elected in 2011 to the board of directors of the Commission on Presidential Debates (CPD), the nonpartisan, nonprofit organization that has sponsored and produced all U.S. presidential and vice presidential debates since 1988. In addition to sponsoring and producing the general election debates, the CPD also engages in voter education initiatives, provides technical assistance to sponsors of nonpresidential debates, and has established an International Debates Network to help other countries that seek to make debates part of their political process. Nicknamed the “Dean of Moderators,” Lehrer served as the moderator for 12 presidential candidate debates and has been involved in several debate-related projects, including the “Debating Our Destiny” documentaries in 2000 and 2008. He was a PBS news anchor from 1975 to 2011. Schieffer has moderated three debates, most recently the third between President Barack Obama and former Massachusetts Gov. Mitt Romney in 2012. He worked at CBS News from 1969 until his retirement last year, including hosting “Face the Nation” from 1991 to 2015. He, too, has served as a member of the Commission on Presidential Debates. 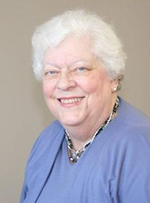 Ridings was national president of the volunteer-led League of Women Voters from 1982 to 1986 and led the planning for the 1984 debates, which were sponsored by the league. She also was on the league’s board during its sponsorship of the 1976 and 1980 debates. Her professional career was primarily in the newspaper industry, as a reporter, editor and publisher, and in the 10 years before retirement she was president and chief executive officer of the Council on Foundations, the membership association of grant-making foundations. Established by Father Jenkins in 2005, the Notre Dame Forum has featured major talks by leading authorities on a wide array of complex issues, including immigration, sustainability, global health, the global marketplace, K-12 education and the role of faith in a pluralistic society. The Commission on Presidential Debates has announced it will host presidential debates on Sept. 26, Oct. 9 and Oct. 19, and a vice presidential debate on Oct. 4. Originally published by Dennis Brown at news.nd.edu on May 24, 2016.